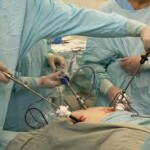 Bariatric Surgery Reduces Female-Specific Cancers in India. 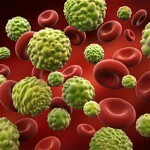 A number of studies have linked obesity with an overall elevated risk of cancer and with many individual cancer types. Among obesity related cancers in women, endometrial cancer is most strongly associated with increasing body mass, with 39% of cases to obesity. In patients with clinically severe obesity (BMI ≥ 40 kg/m2), bariatric surgery results in rapid weight loss and has greater long-term success when compared to non-surgical weight loss methods. Surgical weight loss procedures have been found to reduce obesity-related comorbidites and improve outcomes in clinically severe obese populations. In addition to improved cardiovascular risk factors and mitigation of physical symptoms, there is increasing evidence that cancer risk is reduced after bariatric surgery. 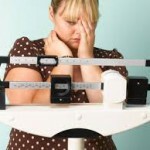 Women who were not currently obese had a lower risk of uterine malignancy than women who were currently obese. We estimate that a 71% reduction in risk of uterine malignancy is associated with having bariatric surgery; with a maximal risk reduction of 81% if a normal weight is maintained after surgery, and a 52% reduction if normal BMI is not achieved or maintained. A history of bariatric surgery is associated with a substantial and clinically significant reduced risk for uterine malignancy. Our previous work, in agreement with the findings of others, has indicated that the risk of uterine malignancy increases linearly with BMI. Along with the findings of this current study, this supports that obesity may be a modifiable risk factor related to development of endometrial cancer. Weight reduction measures, which may include bariatric surgery in appropriate candidates, are vitally important in obese women. Screening for and counseling patients about the dangers of obesity and appropriate referral for bariatric surgery may have a great impact in the overall health of this population. Our findings suggest a potential role for bariatric surgery in endometrial cancer prevention. Future research should be undertaken to further examine the benefits of bariatric surgery for the reduction of cancer risk including endometrial cancer.